Adaptive brightness has seen its way into most notebooks and mobile devices. In Windows 8, Microsoft went to greater length to make it, well, more adaptive. As long as your laptop or device has an Ambient Light Sensor (ALS), you can take advantage of this feature. However, not all users like that their computer chooses how bright the screen is. 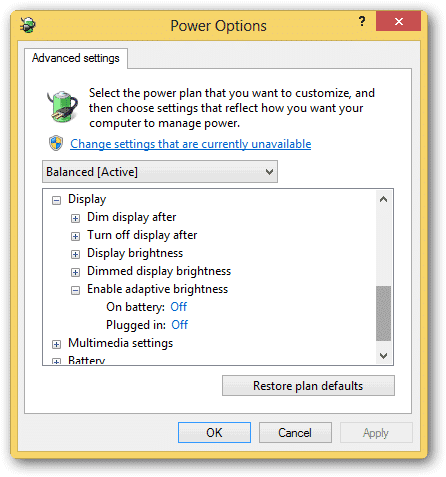 You can turn off adaptive brightness in Windows 7 and 8 with these steps. Adaptive brightness is when your monitor or screen adjusts to the amount of light pointing at it at any given time. Adaptive brightness is meant to help you by changing the screen brightness to adjust to the surroundings as you go about your day. On laptops and standalone monitors, as long as it utilizes ALS, adaptive brightness can be taken advantage of. This tool is meant to help make it more seamless for you no matter how much or the type of light around you. These directions will work in Windows 7 or Windows 8. 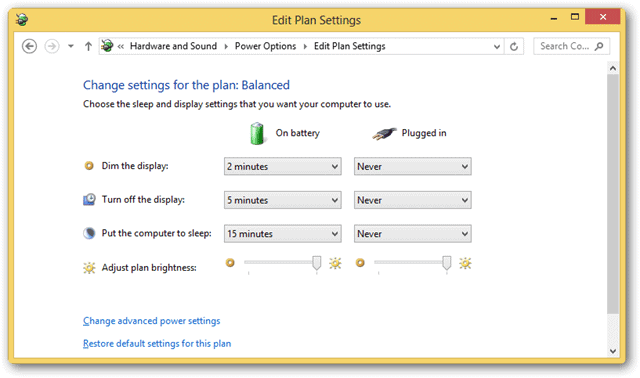 For the purpose of this guide, we’ll be using Windows 8 to show you how to turn off adaptive brightness. 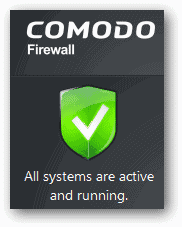 Right-click on the “Battery Icon” in the lower right hand corner of the screen in your taskbar. Now, click on “Change plan settings” for your current power plan. 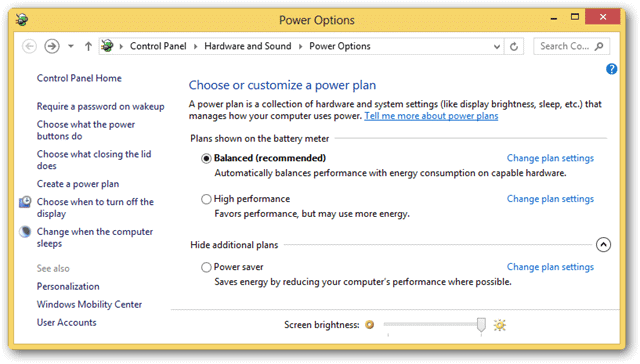 Then, click “Change advanced power settings” in the bottom left hand corner of the Plan Settings window. Scroll down until you see Display, click on it. Now, look for Enable adaptive brightness. Then, click “Apply” and “OK” to save your settings. You’ll want to repeat these steps for each power plan you use on your computer to ensure it’s turned off for everyone. Is adaptive brightness necessary in Windows? For Windows users, and anybody using a device with ALS, adaptive brightness can save them the time and energy of trying to find the perfect brightness level. Depending on where you are, what light sources are available and more, this can take some time to tweak to get to the optimal level. By enabling adaptive brightness, you don’t have to worry about the guess work. For others, adaptive brightness drives them nuts and they have to control it themselves. Those users now know how to turn off adaptive brightness.